All the rage nowadays is pickled everything! In your sandwiches, burgers, on salads, and on the cheese trays. I love pickled green beans for the same exact reason. It brings a totally new flavor to anything to make. Pick any seasoning you wish, exchanging the spices or the vinegar. These are so many various vinegars to choose from and one company I like to use is Sonoma Vinegar, or head to your local Olive Oil store for a complete selection. I used Bragg Live Foods apple cider vinegar, because I wanted a more earthy fruity taste for the fall. 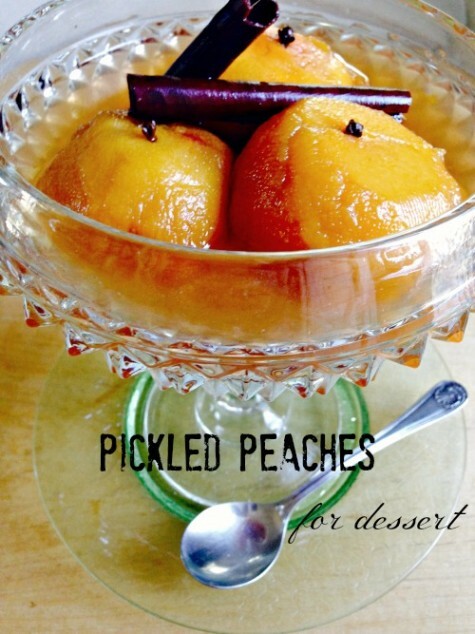 And if you desire a delicious fruit treat, try my pickled peaches on my blog. Just cut off stems and string (optional) and boil just until soft. Remove and drain, add to sterilized jars. In the meantime, gather your ingredients place in a non-reactive pan and bring to a boil. It’s just that easy! 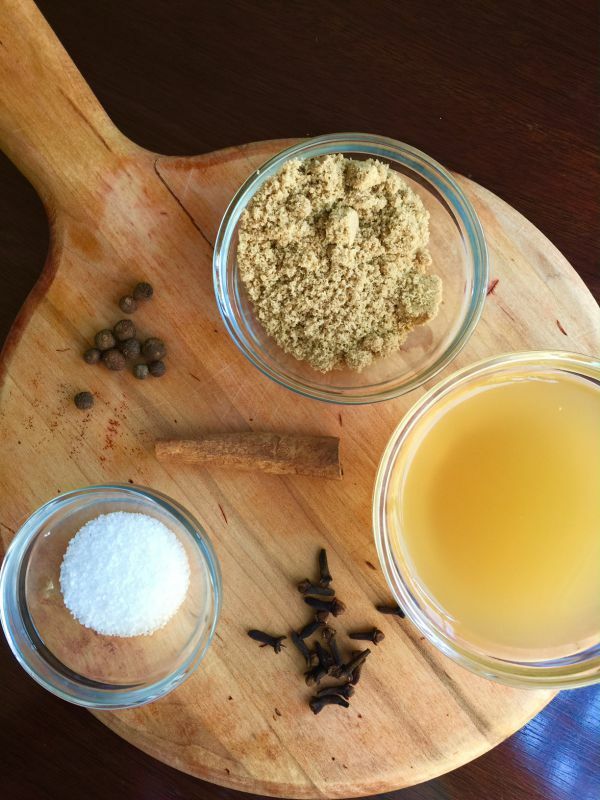 I used apple cider vinegar in my recipe. Make sure to pack them snug, not above the 1/4 inch rim. I wanted to show you the ingredients in this picture, otherwise tuck them in neatly. 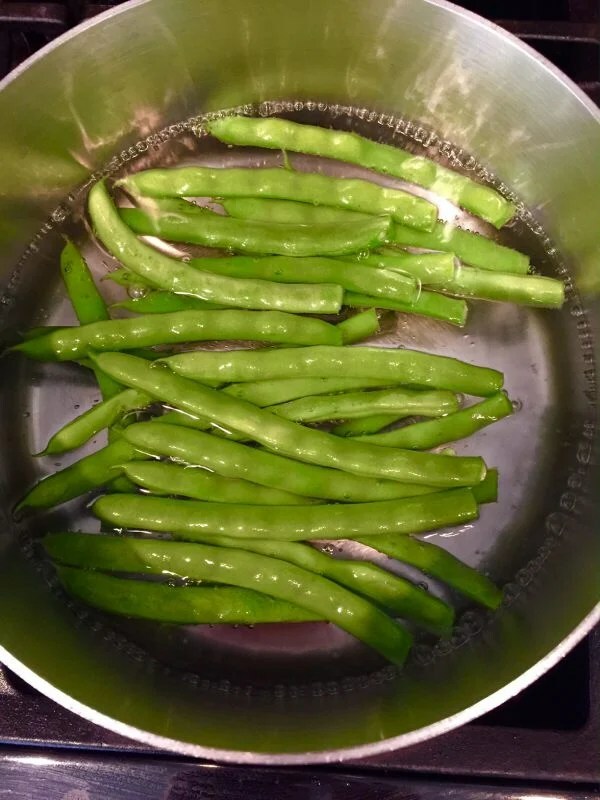 Add these green beans to your salads or pasta and get a fresh new flavor. 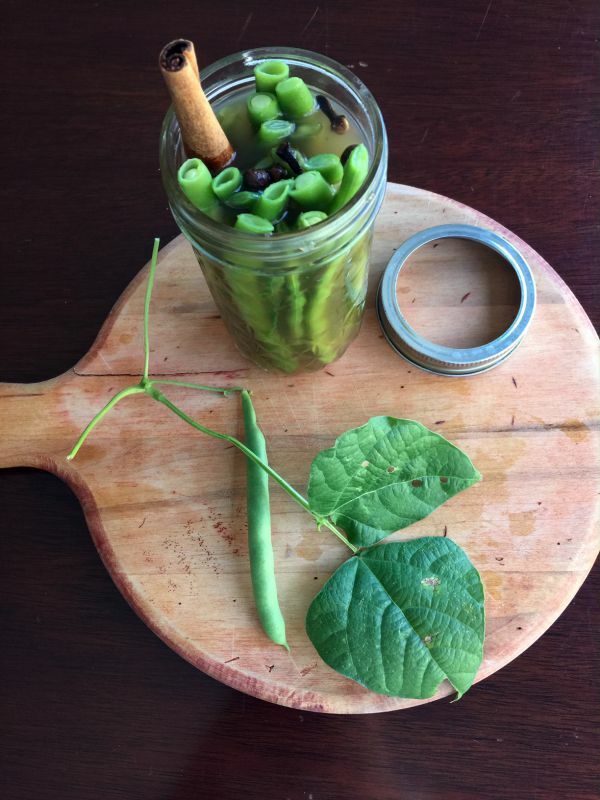 A great way to preserve your garden crops for the winter. Wash beans. Remove any strings ( not necessary if beans are thin) and tips. Cook in boiling salted water, with 1 teaspoon salt to 1 quart water, until tender, 20-30 minutes. Drain and place in sterilized jars. 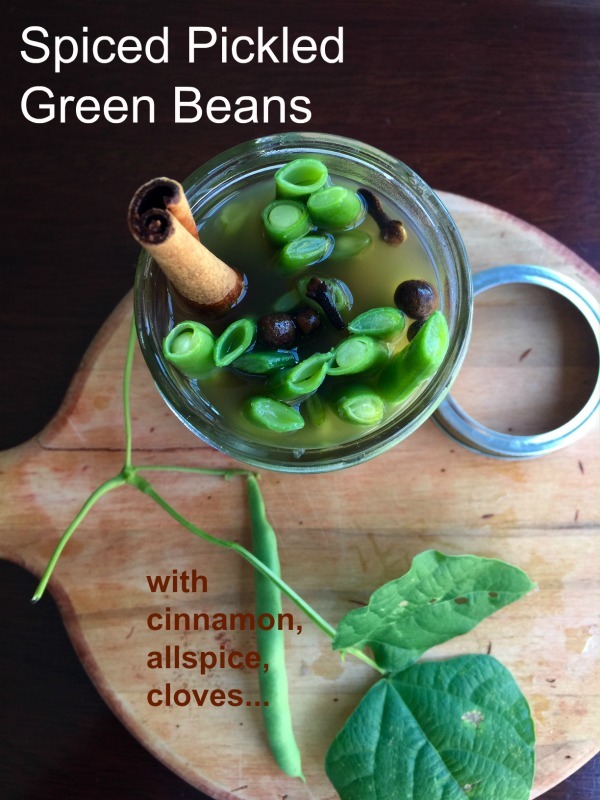 Combine remaining ingredients in a non-reactive pot and bring to a boil, and pour over beans. Seal and refrigerate. Taste daily for flavor desired. Can last up to 3 months.